In 2011, Merck & Co., Inc. began developing a technology strategy and roadmap for global manufacturing that would provide expanded access to pharmaceuticals, vaccines, and biologics for such ailments as diabetes, cancer, infectious diseases, and for neurological, cardiovascular, and reproductive health. This webinar will explore the tools and techniques drawn from MIT’s System Design & Management (SDM) program that were used to create Merck’s leading-edge capability. It will also review major lessons derived from the roadmap’s successful implementation and execution over the past four years. lessons learned through the successful implementation and execution of the roadmap over the past four years. If you would like to be in touch with Chowdhury, you may contact him by email. Anando A. Chowdhury is the director of product design: innovation to operations in Merck & Co., Inc.’s Global Science, Technology, & Commercialization division. 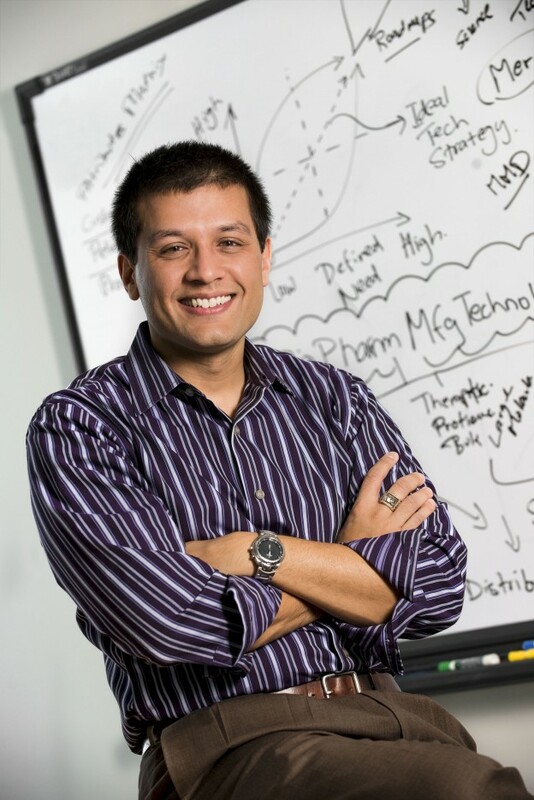 He is responsible for developing primary, secondary, and tertiary product, packaging, and logistics solutions that are patient-, customer-, and value-chain-focused for all of Merck’s human health new product pharmaceutical, vaccine, and biotech pipelines. He led the organizational strategy, management, and operations function for Global Science, Technology, & Commercialization and was accountable for the development, commercialization, launch, and technical support of all Merck products. He and his team were pivotal in establishing Merck’s small- and large-molecule late-stage development and commercialization models, creating and executing the manufacturing technology merger roadmap between Merck and Schering-Plough, creating Merck’s Quality by Design strategy, and establishing the company’s first-ever manufacturing technology roadmaps. Prior to joining Merck, Chowdhury worked in product development, process engineering, equipment design, installation and commissioning, fundamental research and development, new business ventures, information systems and technologies, applied management sciences, and as an operations manager for two new businesses. He has worked at Eastman Kodak Company, Los Alamos National Laboratory, MDT Biologics of Getinge USA, Inc., the United Nations Children’s Fund, hospital systems, and has held positions and postings in Australia, Brazil, Canada, England, and France. Chowdhury holds a B.S. and M.S. in chemical engineering and biomedical engineering from the University of Rochester and the Los Alamos National Laboratory, and as an SDM alumnus, an M.S. in engineering and management from MIT. A Six Sigma Black Belt, he is also a graduate of Merck’s Business Leadership Program through Duke University’s Executive Program. This entry was posted in Webinar on June 1, 2015 by Kathryn O'Neill.